As heart disease caused unhealthy lifestyles continues to rob years from the lives of many individuals throughout the United States and world, people are seeking pathways to healthier and happier lives. With diseases like type two diabetes and obesity so prominently on our minds in society today, things like a healthy diet and amble exercise are become the new trend in healthy living (thankfully). And, of course, while eating properly and getting enough physical exercise are endlessly important, there are also many other things a person can do to live a longer and happier life. Become a truly healthy and happy person while trying out these three strategies to a longer life expectancy. While this may sound crazy, flossing and strong oral hygiene can actually play a major role in your overall health and wellbeing. Regular flossing does two things for you: it prevents gum disease (we all know this) and it prevents heart disease (something many don’t actually know). Heart disease (as we mentioned earlier) is an extremely serious problem and is the leading cause of death throughout the developed world. While it may sound odd that flossing can actually help prevent heart disease, it’s true. Here’s how it works: flossing keeps your gums from becoming inflamed. When they are inflamed it is because there is some kind of chronic bacterial infection occurring in your mouth. This can cause serious damage because the bacteria can find their way into your arteries causing plaques and your body’s immune system response can cause your arteries to narrow. Both of these things (plaques and narrowed arteries) make it more difficult for your heart to function properly. Make flossing a part of your everyday oral hygiene routine to live a healthier life. While this method of elongating your life is a little less scientifically based, it is nonetheless shown that hanging out with friends and loved ones more can increase your lifespan. Individuals who live connected lives full of positive relationships live longer and happier lives. There are several theories out there about why this is. Some think that individuals with healthy relationships are less likely to participate in risky (life threatening) behavior, while others believe that living a connected life full of friends and family helps reduce the effects of stress on your health. Either of these theories may be plausible. Whatever the exact cause is, the truth remains that those who are engaged in meaningful relationships are healthier and happier and, therefore, have longer life expectancies. Get out and have fun with the people you love. It could save your life. In much the same way that having healthy relationships with friends and loved ones can improve your life expectancy, so too can having a healthy relationship with a pet. Stress plays a major role in how long you are expected to live. Stress can do two negative things to a person’s body: it can have actual physical effects on your body that are unhealthy and it can cause negative behaviors in the individuals that it plagues. 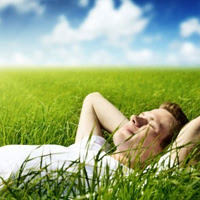 Relaxation is an extraordinarily important aspect of leading a healthy and happy life. It has been shown time and time again that owning a pet can greatly decrease the effects of stress on your body and mind. Loving pets help relax an individual in ways that only an animal can. While the exact reasons for this are unknown, pets help relax individuals, help create a healthier lifestyle for many, and bring joy to their owners. All of these thing help to increase your life expectancy. Whether it is the mere effort of caring for another being or it is the meditative love that pets give back, owning a pet can be a great way to live a rewarding and healthy life. This is a guest post by Eliza Morgan who is a full time blogger. She specializes in writing about business credit cards. You can reach her at: elizamorgan856[at]gmail dot com.